In Coats, we believe that a community rises only as high as its educated citizenry. Our town emphasizes both quality and individualized attention in education. The value we place on these is evidenced in our classrooms. You and your family will find an assortment of topnotch public K-12 schools, listed below along with exemplary private schools in the area. Coats Elementary serves approximately 750 students between kindergarten and 5th grade, and it maintains a commendable student-to-teacher ratio in the region of 15:1. Located in Dunn just outside of Coats’ town limits, Coats-Erwin Middle molds the minds of more than 650 students in grades 6 through 8. Home of the Falcons, the public institution has been recognized as a School of Distinction and is accredited by the Southern Association of Colleges and Schools (SACS). Serving more than 1,300 students in grades 9 through 12, Triton High asserts its dedication to the academic success of all of its students. The school is SACS-accredited and offers a variety of services for its diverse student population. Coats Christian Academy is a private, religiously affiliated school that currently serves 14 students in the 5th through the 12th grade. This small, nonsectarian school serves students in grades PreK through 8. A parent-owned, college-preparatory school, the Academy educates its 300-plus students in a nondenominational Christian environment. Grades PreK through 12 are taught at this Association of Christian Schools International (ACSI) facility. A K-12 religiously-affiliated school, Gateway serves an enrollment of roughly 30 students in all. At Academic Excellence, nondenominational Christian principles are infused with the certified curriculum of the state of North Carolina. 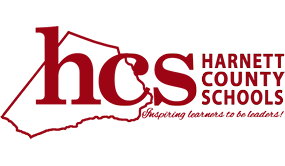 They offer educational services including grades K-12, early-graduation and grade-advancement programs, college-credit courses, tutorial programs, and adult programs. An ACSI-affiliated school, Gospel Tabernacle Academy serves children in PreK and kindergarten in a nondenominational Christian environment. 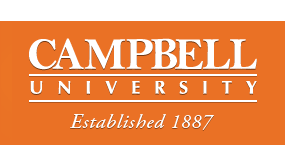 Campbell University and Central Carolina Community College are just down the street.